April 15-21, 2011 at SIFF Cinema. The Charlie Chaplin Film Festival closed Thursday night at SIFF Cinema. A week ago, with little fanfare, it opened to a small but excited crowd, among them young devotees in Chaplinesque attire and moustaches, 20-ish couples, middle-aged folk, elders, and single odd-balls like this writer - an approximate cross-section of Charlie Chaplin's 21st century following. As the audience dwindled through the week, the significance of his oeuvre seemed only to grow. In 2011, more than three decades after Charlie Chaplin's death and 122 years after his birth, "Charles the Silent" reigns over a threadbare kingdom. Still a name and figure almost anyone can recognize, Chaplin's genius gets lip service even as his legacy fades in the imagination of a generation and an era. 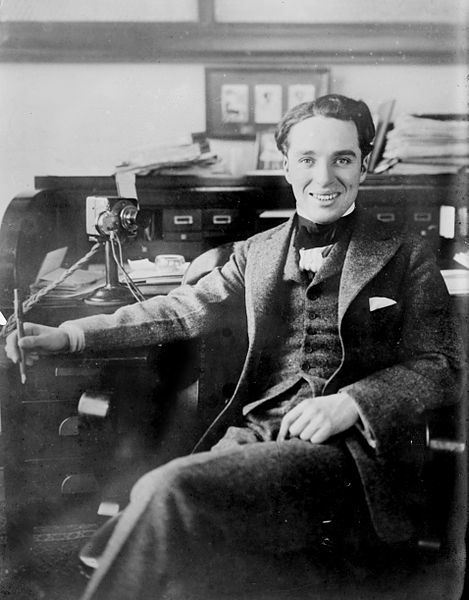 People think they know Chaplin: the little man with the funny walk and the top hat and cane. In today's America, to know a little is to know it all, but a closer look at Chaplin reveals depths beyond the scope of casual acquaintance. Everyone knows who he is, but few know him for what he is. SIFF's high-quality prints and large screen brought him vividly to life across the decades of his evolution, evoking laughter, awe, and tears even from viewers like myself seeing some of the films for the dozenth time. 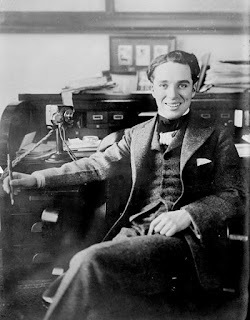 Full-screen, Chaplin can be painfully accessible, cracking us up while breaking our hearts with his loves and hopes and dashed dreams, his deceits and humiliations. If the Self is King, Chaplin is Jester, mocking our delusions of grandeur and importance, laying bare our pettiness and frailty. The Little Tramp disarms the ego with laughter; in laughter is humility, and brief liberation from the chains of self-interest. 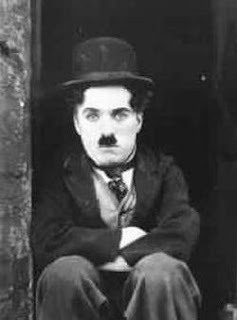 Chaplin drives us to laughter, then slaps us back to our senses with harsh truth, challenging not only the tyrants in our own hearts but those in the world at large, whatever their sizes and disguises. The fickle millionaire in City Lights who embraces the Tramp when drunk and rejects him when sober prefigures today's billionaire bailouts as taxpayers stretch their shrinking dollars. The lust for "a mountain of gold" in The Gold Rush drives men to betrayal -- Madoff, anyone? -- while the humble working man of Modern Times first figuratively, then literally, plays a cog in the machine, chewed up and spat out at will by competing demands of industry and labor. "Pathetic little tramps" today no less than in the turbulent 1930's are shouting for justice from Madison to Damascus. No film more poignantly lends voice to the powerless than The Great Dictator, where Chaplin's social idealism soars in "the little barber's" final oration. Whatever its flaws may be of sentimentality or hyperbole -- and one may find such "flaws" throughout Chaplin's work if one wishes -- that scene must be the bravest 4 1/2 minutes in cinematic history. The irony of the King of Silent Comedy speaking truth from his throne, the screen, holds no trace of cynicism. "I'm sorry, but I don't want to be an emperor," says the humble barber, and goes on with exquisite rhetoric to exhort soldiers and citizens to rise against their oppressors: "You, the people, have the power, the power to create machines, the power to create happiness! You, the people, have the power to make this life free and beautiful, to make this life a wonderful adventure. Then in the name of democracy, let us use that power." If only our leaders could invoke democracy with such sincere passion. Chaplin broke his silence to challenge us with this message, but our deafness may be incurable. It is no coincidence that the last word of the film is a command to "listen." In the final seconds of the film, Paulette Goddard's Hannah, her spirit and hopes crushed by oppression, does hear; in a stunning apotheosis we see her uplifted against an open sky, a goddess of liberty. Read the speech and listen to a complete audio recording here. Read it and weep, for in this age of pomposity and deception, where plain truth stumbles like a humble prospector through a blizzard of lies, we drift ever further from the vision of Chaplin's controversial masterpiece. A thoughtful look back at the King of Silence and his long creative journey was an eye-opening, ear-opening experience for the devoted or curious few who made it to SIFF's Chaplin Festival. If you missed it, well, there's always DVD, or god help us, YouTube.